The UK investment market has remained subdued, despite the FTSE 100 index breaking its December 1999 record. Stocks and shares ISA subscriptions were less than half of cash ISAs in 2013/2014. In the US, Apple's share price has risen from 45.4 cents to $128.46 a share since 1997. Desite some impressive performances, share mania has yet to return to the UK, says Angus McCrone. Forrest Gump said that his friend Lieutenant Dan "got me invested in some kind of fruit company. So then I got a call from him saying we don't have to worry about money no more". I only hope Forrest hung on to the stock because, from the standpoint of the film's release date in 1994, the best run for Apple shares was still in the future. Investors could have bought into Apple at 45.5 cents a share on 30 December 1997. If you did, by early March 2015 you would have seen the stock price multiply 281-fold to $128.46, and you would have picked up a few dividends along the way too. The most striking thing about Apple might not be that share price performance, but the market capitalisation that has resulted - no less than $748bn. This is roughly equivalent to the GDP of Saudi Arabia. Or it might be that a company this large could still be growing its revenue at 30 per cent year on year in the quarter to December 2014, and its earnings per share at 48 per cent year on year. Or it could be that its gross margin in that quarter was almost 40 per cent. The Nasdaq Composite is up fourfold since its low in March 2009 and on the verge of breaking its dotcom era record that I had thought would last for several decades. Across the Atlantic, in the City of London, there is no sign of a fruit company, or any other quoted firm, seizing hold of a vast and growing market in quite the way Apple, or Google, has done. However, there are starting to be some pretty impressive stock performers even here. The sharpest risers among UK-listed companies since the stock market bottomed in March 2009 have been Howden Joinery Group, a fitted kitchen supplier valued at £3bn after a 32-fold rise, and Ashtead Group, an equipment rental company valued at £6bn after a 31-fold rise. And the City's nearest equivalent to the Nasdaq, the TechMARK All-Share, has moved uncannily in tandem with its US cousin, to the point that it was on the verge of breaking its year 2000 record by early March 2015. 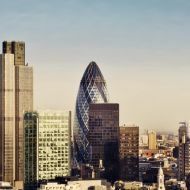 Those performances and the fact that the FTSE 100 index finally broke its December 1999 record in February this year could be expected to have some impact on activity levels on the London stock market in 2015. Unfortunately, if that hoped-for impact is an accelerating flow of floatations, or greater private investor interest in the market, then the evidence is less than convincing. In terms of order book volumes on the LSE, there was £1.2trn worth of trades made in 2014, a handy 14 per cent up on 2013. However, it was still several fathoms down on 2007's £2.2trn worth. The same message emerges from the Individual Savings Account data. In 2013/14, the most recent financial year for which figures are available, UK individuals contributed £18.4bn to stocks and shares ISAs, a record but not particularly far above the £16.5bn of 2012/13 or the £16.1bn recorded far back in 1999/2000. And the stocks and shares ISA subscription in 2013/14 was less than half that in cash ISAs, in line with the mix seen in other recent years, and very different from 1999/2000 and 2000/01 when equity ISAs raised more than cash ISAs. It suggests a distinctly tepid mood. Equities - Apple and one or two other American megastocks excepted - have failed to recapture the imagination of the UK investor, so far. That is surprising, given the lack of return available on any other investment, bar of course property. Why has share mania not returned? Perhaps because UK business has become dull. The personalities of 20 or 30 years ago have few equivalents now. Listed firms are playing it safe, hoarding cash rather than expanding or mounting takeovers. Some industries have been denuded of UK-owned quoted companies. There is another possibility - simply that shareholder exuberance has not arrived yet in this cycle, because it is just around the next corner.